Though it was new to me, this is a fairly well-known quote by Albert Einstein. 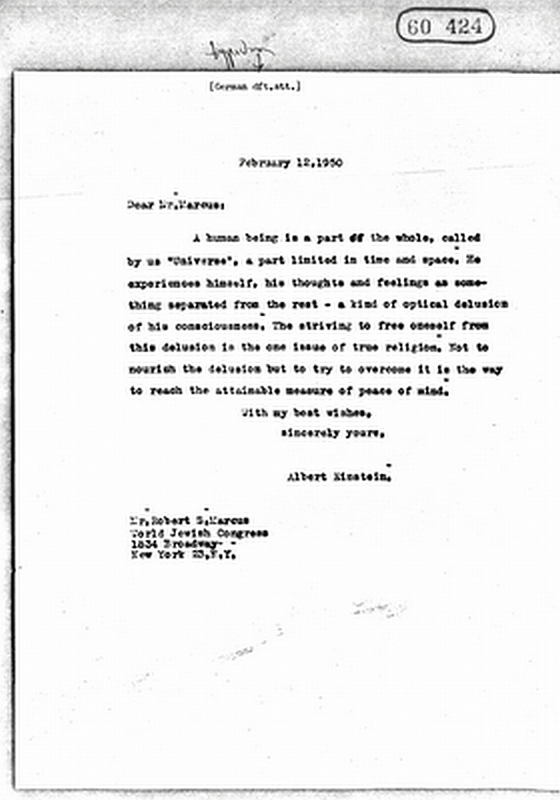 He wrote this to Robert S. Marcus on the occasion of his son passing away due to polio. Like many other famous quotations, this text is often taken out of the original context and reproduced for a type of autonomous meaning that it invokes for the reader. And often the excerpts still resonate regardless of context or not. I thought it was worth including this breakdown I read on another blog about this particular quote. 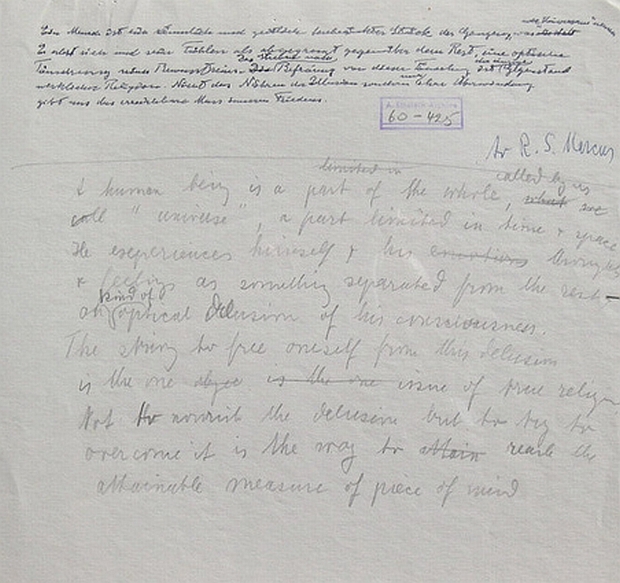 Basically the quote has been altered from the original version which is shown on these documents. When I read the breakdown, it loosely made me think of a thread on the forums and the idea of how we receive information and how that reception may or may not affect meaning or resonance.